Nautical by Nature: Happy Easter/See you next week! If I went to the Cadbury factory, I would eat the entire thing. I'm not kidding! Have a great Easter!!! Hope you had a wonderful trip! 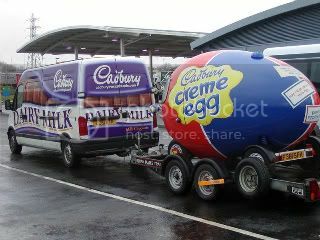 I love cadbury eggs...I would be in such trouble at the Cadbury Factory. I'm inflating just thinking about being with a hundred yards of a Cadbury factory. Those damn eggs are the stuff of many a childhood memory . . . and stomachache after the inevitable easter binge haha. Safe travels :).